Creative Agricultural Technologies (CAT) licenses patented disease-resistant dogwood cultivars from the University of Tennessee for production and sale by wholesale growers. 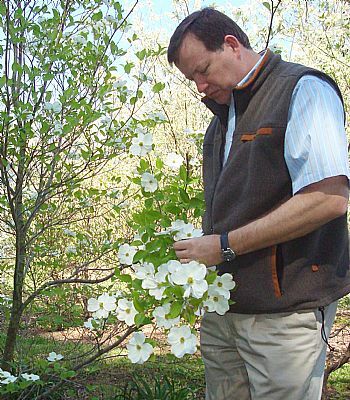 The dogwood cultivars were developed by University of Tennessee Institute of Agriculture researchers Dr. Robert N. Trigiano, Dr. Mark T. Windham, and Dr. Alan S. Windham of the Department of Entomology and Plant Pathology, and by Dr. Willard T. Witte, who is retired from the Department of Ornamental Horticulture and Landscape Design. The company was formed in 2005 and is located in Maryville, Tennessee. 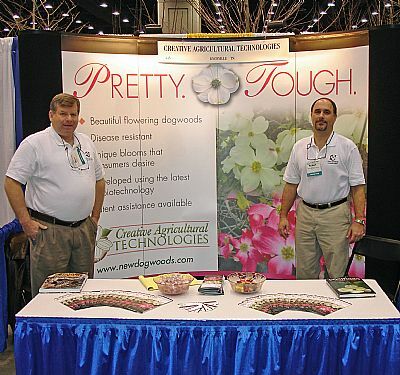 The idea for CAT came out of the necessity to bring disease-resistant flowering dogwood trees to the nursery industry. The trees were developed as a means to solve problems for the industry, yet were relatively unknown until CAT worked to market the trees. Two diseases that commonly affect dogwoods are dogwood anthracnose and powdery mildew, both of which were crippling the nursery industry and forcing smaller nurseries to close their doors. Mark Windham explains that, on average, it cost $62 per acre of dogwood to control for disease, pre-1990, but with these new fungal diseases, producers were spending upwards of $1,700 per acre. The dogwood team at UTIA worked to develop trees that were resistant to these diseases. Windham says that the first few years were spent raising awareness about the cultivars. The group spent their time collaborating with nurseries, attending trade shows, and marketing the trees. The cultivars had been developed to help solve a problem, but CAT was the vehicle that brought the answer to the marketplace. Since its inception, CAT has had a strong focus on helping the state of Tennessee, producers, and the nursery industry. For each new cultivar that is released by CAT, Tennessee producers have a three-year exclusive right to produce and sell that cultivar, giving them a competitive advantage in the market. Dr. Trigiano says the plant cultivars also serve as a marketing tool for the university. 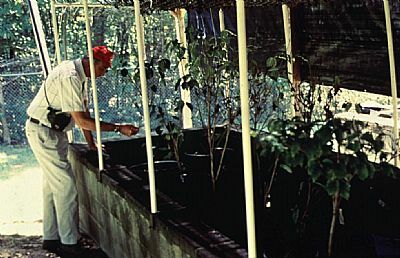 He explains that each patented tree gives credit to the UTIA AgResearch and Education Center in the cultivar description. Currently, eight cultivars are marketed through CAT, five Cornus florida (native to North America) and three Cornus kousa (native to Asia) cultivars in the United States and Japan. Each tree has been selected for specific qualities, such as disease resistance, flowering pattern, flower shape/size/quantity, and/or tree shape. Dr. Effin Graham was a professor in the Department of Ornamental Horticulture and Landscape Design from 1967 to 1995. He joined UT after seven years with Texas A&M. 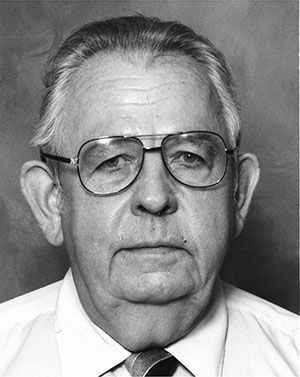 Dr. Graham passed away in June 2010, and his shares of the company were retired. Dr. Robert (Bob) Trigiano was named Institute Professor in 2015. The title is given annually to faculty members who demonstrate high achievement in teaching, research, and service. Trigiano is a professor in the university’s Department of Entomology and Plant Pathology. His research focuses on molecular genetics, population analyses of native plants, and diseases, biotechnology, and breeding of ornamental crops. Dr. Alan Windham is a plant pathologist with UT Extension, where he supports Extension agents in the green industry and Extension Master Gardener programming. He is a member of the UTIA Dogwood Team, UTIA Turf Team, Southern Nursery IPM Working Group, and Rose Rosette Research Team. His specialties are the diagnosis and management of diseases of ornamental plants and turf grass. He can be found on Twitter where he posts regularly as @UTPlantDoc. 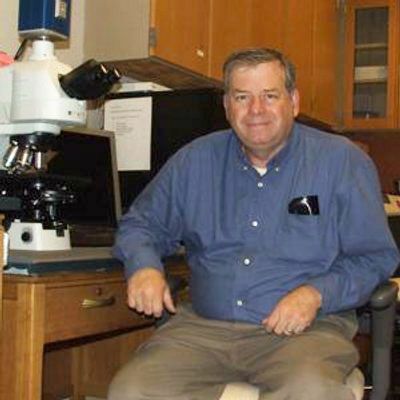 Dr. Mark Windham is a Distinguished Professor of Ornamental Plant Pathology. The rank of distinguished professor is awarded to professors who have displayed an exceptional record of teaching, research, and/or creativity, and service. He specializes in diseases of ornamental plants, Thousand Cankers Disease of Black Walnut, and host plant resistance in ornamentals. His research focuses on how plants resist diseases and how fungi overcome these resistance mechanisms. You can follow him on Twitter at @UTRoseDoc.